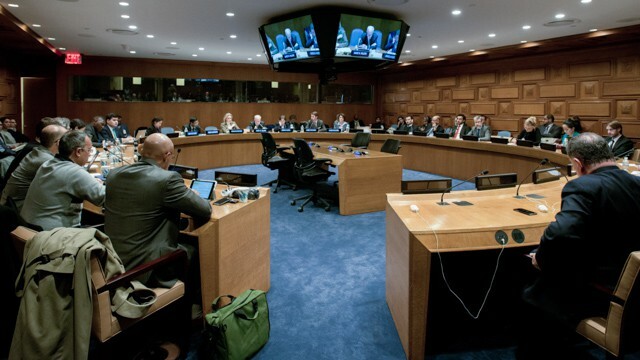 On 17 November 2014 UNU hosted a panel discussion at United Nations Headquarters on “The Road to the United Nations General Assembly’s special session on the World Drug Problem 2016” (UNGASS 2016). The panel discussion, moderated by UNU Rector David M. Malone, provided insights into the current state of global drug control arrangements and the relations to human health, human rights, and human security. The event considered the steps currently being taken, and what additional steps might be undertaken, by the UN Membership, the Committee on Narcotic Drugs, and by the UN Secretariat, and collaborating agencies, funds and programmes, to help all stakeholders prepare for UNGASS 2016. The roundtable was attended by over 90 representatives of Permanent Missions to the United Nations, officials from the UN Secretariat, agencies, funds and programmes, and representatives from civil society organizations. For a full overview of the event and the topics covered see the UN WEB TV video below and download the meeting note from the related files tab.